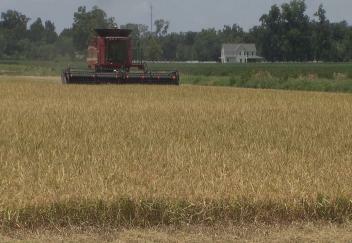 (Video 08/10/18) Rice harvesting in south Louisiana is in full swing and will soon be beginning in the northern part of the state. Early yields are pointing to an excellent harvest, but that could change quickly if the weather does not cooperate. LSU AgCenter correspondent Craig Gautreaux has this report from southwest Louisiana.